A very nice way to welcome. Glue two cardboard plates together, hollow out in the center so that only one circle is left. Brush the cardboard ring with glue, and sprinkle with popcorn. To obtain a great thickness, brush with a little extra glue and add more popcorn. 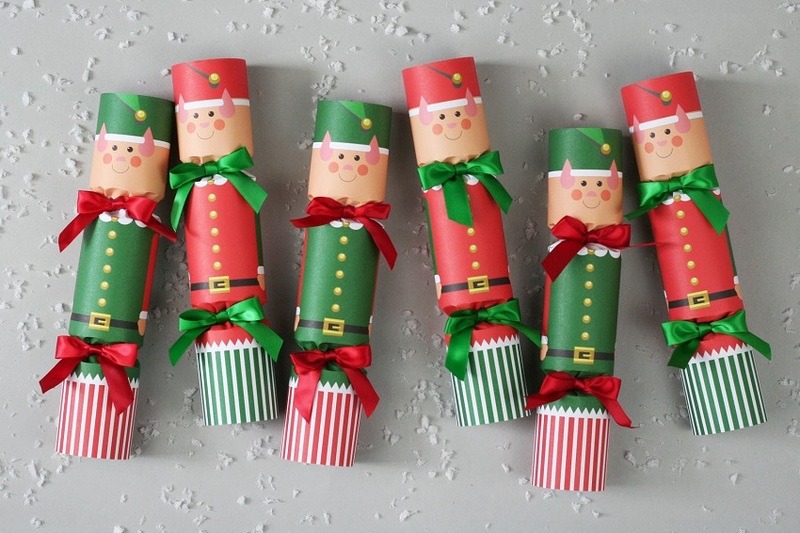 Make another circle of cardboard, stick paper-wrapped candies with a glue gun. Hang with ribbons. Be careful, the popcorn, because of the glue, will not be edible! Offer a crunchy shortbread as a gift. Cut into round dough three circles of Ø 8, 6 and 4 cm. Assemble them by pressing the edges to make the body. Add a pinch of cocoa in a little dough, and cut out a hat shape. Bake for 10 minutes at 180 ° C (tea 6). Mix 1 tbsp. icing sugar and a few drops of water, brush this icing on the biscuit, stick the hat, then sprinkle with grated coconut. With melted dark chocolate poured into a paper cone, draw the hat ribbon and three buttons. Model the nose with a small ball of orange sugar paste, then tie a string as a scarf. 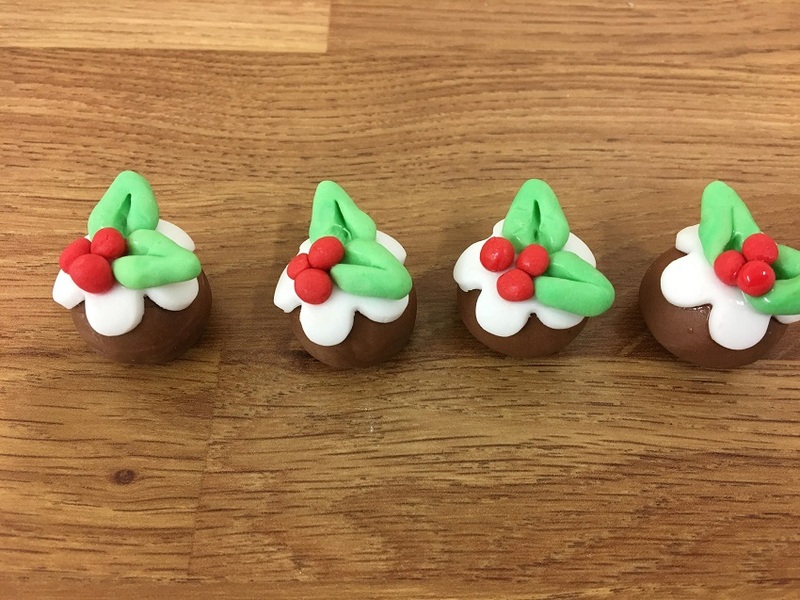 It is one of the greedy decorations to do with children for Christmas. 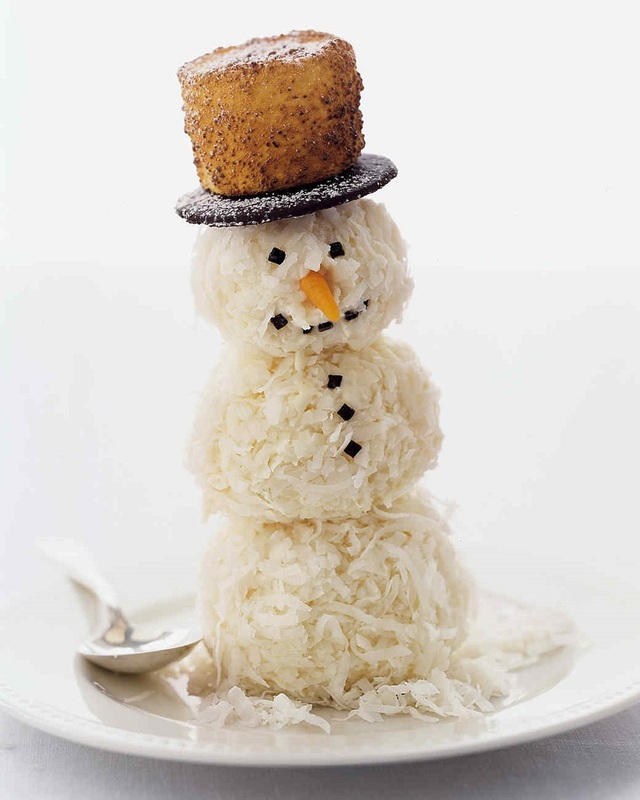 In his mini-window, this shortbread garland coconut is desired . Whisk 125 g butter and 55 g caster sugar until foamy, then add 180 g sifted flour. When the dough is soft, spread it between 2 sheets of parchment paper, and cut a fir shape (H 8-10 cm depending on the height of the jar). Bake for 15 minutes at 180 ° C (tea 6) and allow to cool. Melt a little sugar over low heat, as if to make caramel but stopping the cooking before coloring. 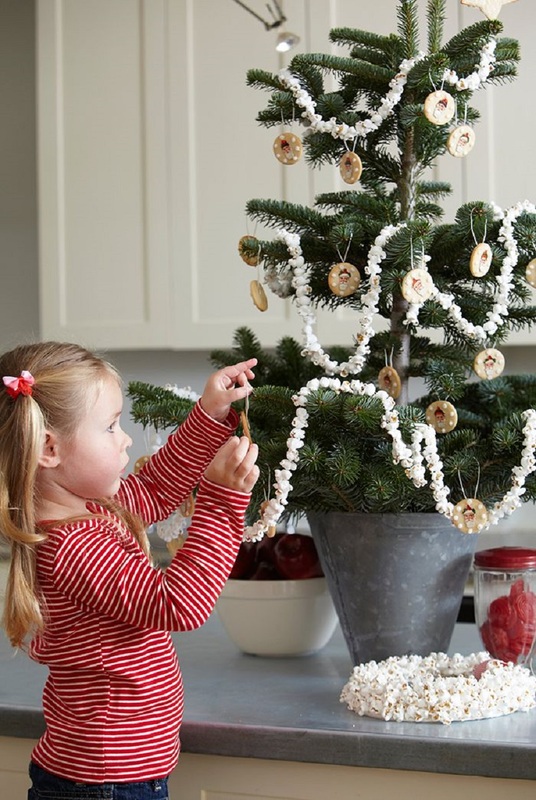 With a fine brush, draw the garlands on the tree, and immediately sprinkle with powdered coconut. Attach a pacifier stick in the lid of a jar with a glue gun. Brush the back of the cookie with the colorless caramel to stick it on the lollipop stick and close the jar. These fir decorations eat their eyes. Cut out Santa’s heads in gift wrap (or colorful pixie patterns, Panduro ). Form rounds in shortcrust pastry with a Ø 6 cm cookie cutter, drill a hole with a toothpick 1 cm from the edge. Bake for 15 minutes at 180 ° C (tea 6). Prepare heavy royal ice cream by mixing 1 min 200 g icing sugar, a few drops of lemon juice and 1 egg white. Using a paper cone, place small glazing beads on the biscuit turn and center to glue a cut pattern. Tie a string to hang them. It is one of the greedy decorations to do with children for Christmas. 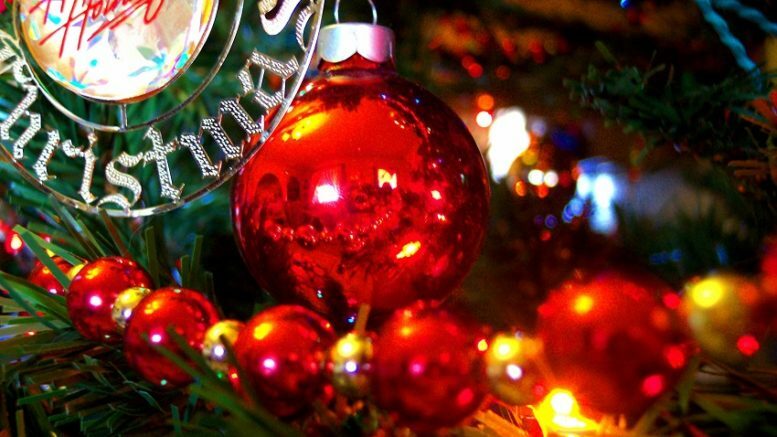 In red and white, the biscuits of the advent dress in the colors of Santa Claus. 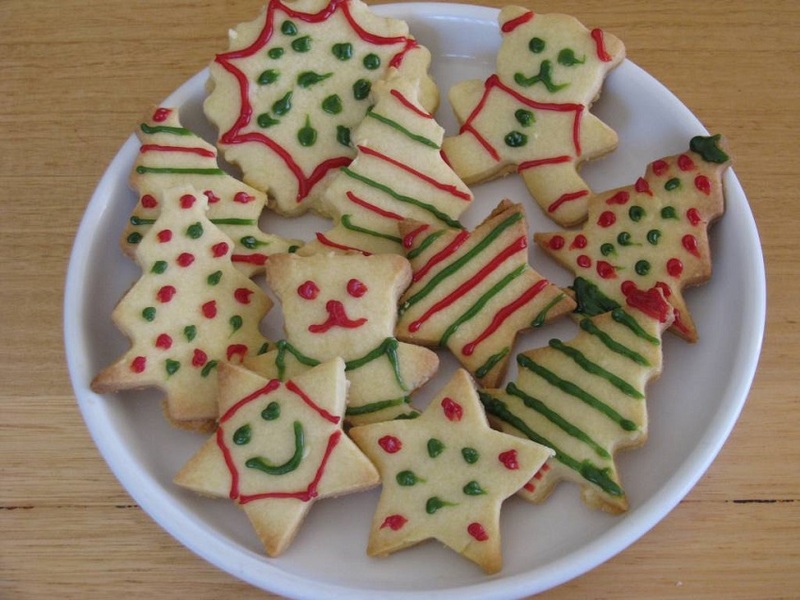 With a 5 cm round cookie cutter, form 20 rounds in a short pastry. Evid 10 cookies, in the center, using a small cookie cutter in bloom. Bake for 8 to 10 minutes at 180 ° C (tea 6). When cookies are cold, spread 1 tbsp. coffee raspberry jelly on the biscuit full, cover with the patterned biscuit. Snowball effect and success assured! Prepare a salad bowl of popcorn. In a frying pan, brown over medium heat 125 g sugar. When the caramel is ready, pour it on the popcorn. Put on new dish gloves, mix and form balls (do not burn yourself!). Plant a stiff straw or a large lollipop stick. Let the balls cool on a sheet of parchment paper. She dresses the fir tree with snowflakes! Place a handful of corn kernels in a bowl, cover with stretch film with small holes, and microwave for 3 min at maximum power. 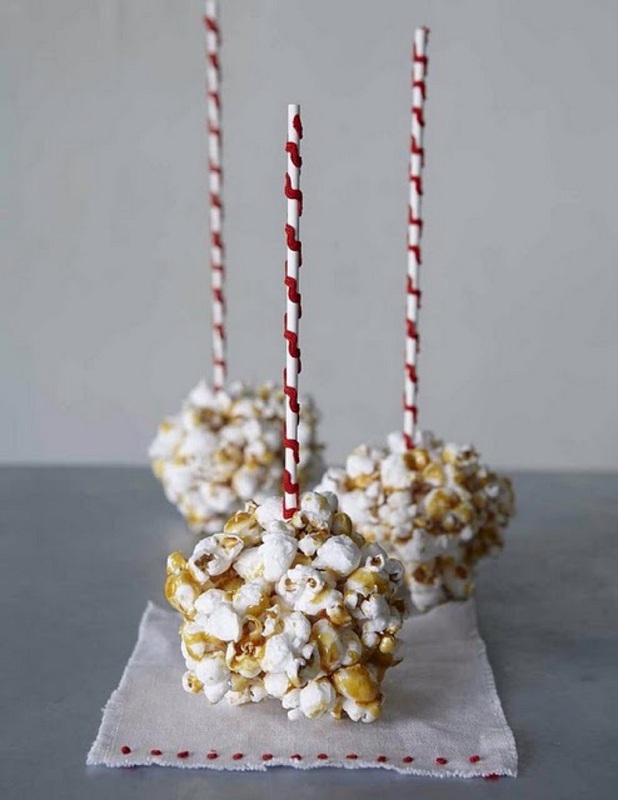 Prepare a long line of white thread, prick the popcorn and thread them one by one on the line to make an aerial garland. Avoid sweetening them so they do not stick to the fingers and do not catch the dust too much. It is one of the greedy decorations to do with children for Christmas. 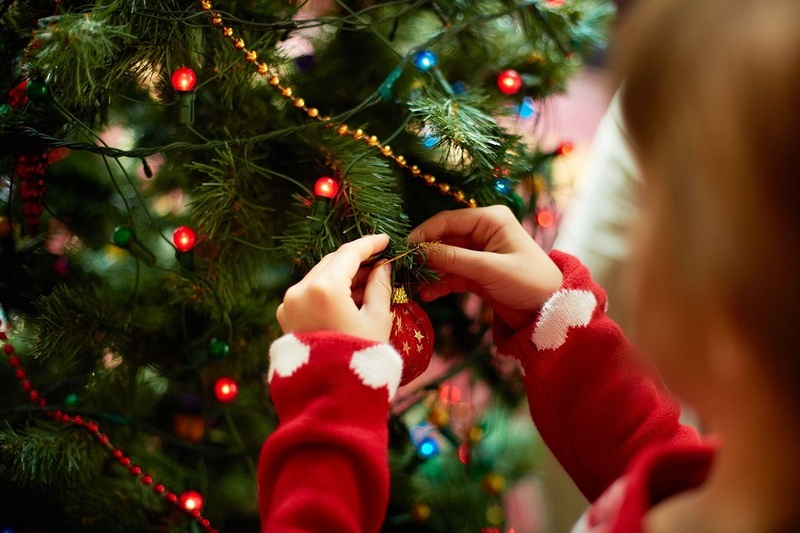 Be the first to comment on "7 greedy decorations to do with children for Christmas"